Run to the hills . . . Avoid this movie! 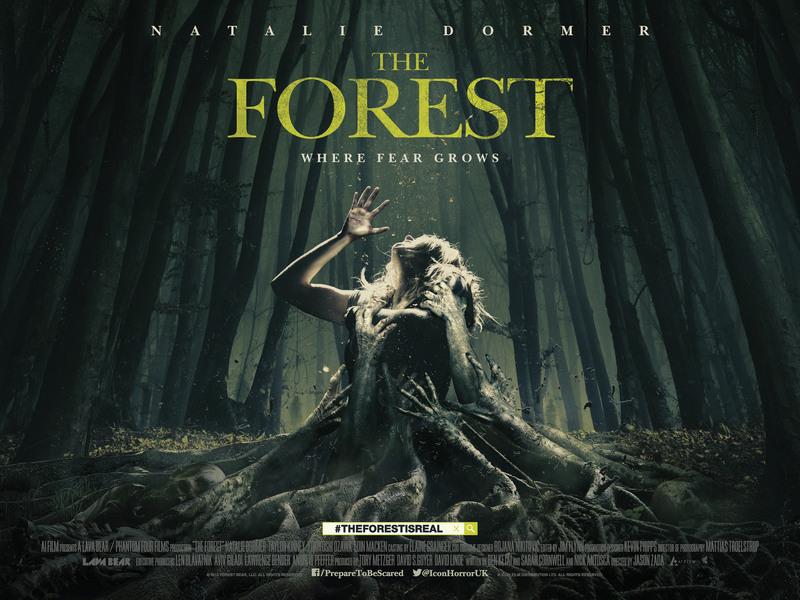 A woman (Natalie Dormer) goes into Japan’s Suicide Forest to find her twin sister (Also Natalie Dormer) and confronts supernatural terror. Dull, boring and laughable. I think Miss Dormer better stick with Game of Thrones. Another intriguing premise thrown down the gutter. Credit where it is due. Dormer delivered the best performance that she could with the weak characters and cliched dialogue. I really wanted the film to explore the mystery behind the Aokigahara Forest. Deemed the Suicide Forest. A forest so dense that it shuts out all natural sound. Making it a good site for suicide as no one can hear the acts take place. Believe me, I was freaked out by that paragraph alone on Wikipedia than I was with this movie. The potential for a dark and psychological thriller squandered and replaced with a generic fright fest with little tension, predictable jumps and a twist you could see coming a mile off. 93 minutes? It felt a whole lot longer than that. Despite Mattias Troelstrup’s beautifully shot cinematography and the creepy backdrop, The Forest was a coma-inducing bomb. The film flicked back and forth as Dormer’s Sara seeks Dorma’s Jess. The cliched flashbacks with her doppelganger twin were nauseating. Corny and unnecessary. Adding nothing to the mix. When we weren’t exposed to these flashbacks, we had slow meandering shots of the woods with creepy trinkets popping up combined with lifeless dialogue between one dimensional characters that you couldn’t give two monkeys about. Yukiyoshi Ozawa did his best to create a little suspense as the forest guide with his chilling ghost stories. Things finally picked up when Jess strayed from the path. A path that Ozawa repeatedly insisted she stayed on. BUT of course, what does she do? The eeriness surrounding the Forest and the loss of time was a nice gimmick. BUT it never really got going. I could feel my eyes drooping. Reprieved by a few jumpy bits to keep me on my toes. A chance meeting involving a dark hallway in a remote hostel soon woke me out of my slumber. For a brief moment. Taylor Kinney (Zero Dark Thirty) wasn’t strong enough or creepy enough to create any real threat or interest as the mysterious journalist that Jess meets along the way. The paranoia finally settling in thick and fast. BUT by the end I really didn’t care. It took too long to get going. And when it did, you really wished you hadn’t bothered. Considering it had a $10 million budget, the effects were dreadful. Random extras popping up with manky fancy dress masks howling stupid noises really didn’t help matters. And the finale offered a little of what I had expected. BUT it was rushed and far too frenetic. You also realised that the plot didn’t make any sense and the incredibly OTT score by Bear McCreary made it even more comical than it should have been. A real mess. I’d wait for this to haunt the Horror Channel. 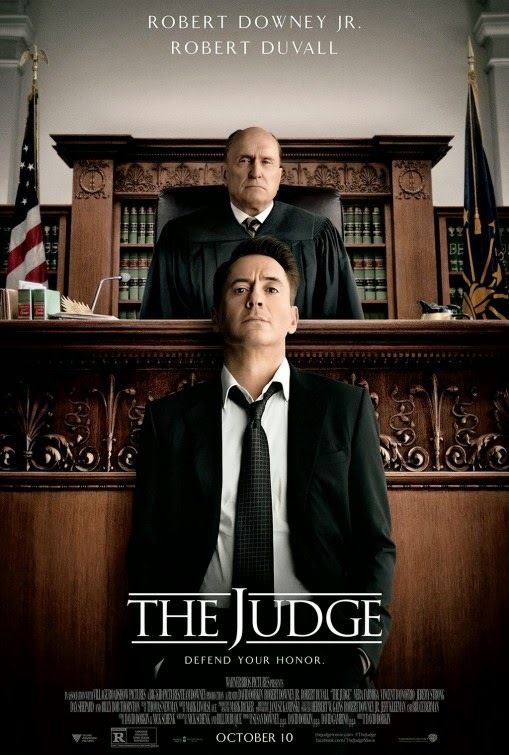 Robert Downey Jr and Robert Duvall team up to tackle the courtroom in a predictable but highly watchable drama. So what’s it about? Big city lawyer Hank Palmer (Robert Downey Jr) returns to his childhood home where his father (Robert Duvall), the town’s judge, is suspected of murder. Hank sets out to discover the truth and, along the way, reconnects with his estranged family. I was surprised at the flogging this film got. I was pleasantly surprised. But then these days, I go into a cinema with such dread it’s hard not to be. Now the first 30 minutes had me looking at the little hands on my watch. It was slow and predictable with RDJ “Starking” it up. Some people will disagree but I’m sorry. He was Tony Stark with a law degree. A fast talking ruthless lawyer with no respect for the courtroom or his peers. A perfect case example being when he openly urinates on one of his opposing counsels, ol’ Bernard from The Santa Clause, David Krumholtz. “Did that just happen?”, laughs Downey Jr. Unfortunately, yes. And boy, has Krumholtz put on the pounds. But once Hank returns home and reunites with his estranged father, the iconic actor that is Robert Duvall, tempers rise, old wounds are re-opened and the movie hits its stride. Duvall and Downey Jr are brilliant together and really bring their A-game to deliver a decent pairing. It’s all a little predictable with the pair first sparring, barely speaking. That is until the murder charge. What helps is that despite it being arguably a TV movie story line, the two Roberts prove what good acting can deliver. Interest. That’s not to say that there wasn’t revelations along the way. Some worked well. Others did not. But I won’t divulge details. There were certainly some heartfelt moments between father and son but there were also a number of missed opportunities that could have made this more than just watchable. Vera Farmiga (Bates Motel) plays her part well as the old high flame who stayed home. She has good chemistry with RDJ which helps make their inevitable and corny relationship sequences watchable. The outcome, however, was so predictable and all a little too easy with no real friction. 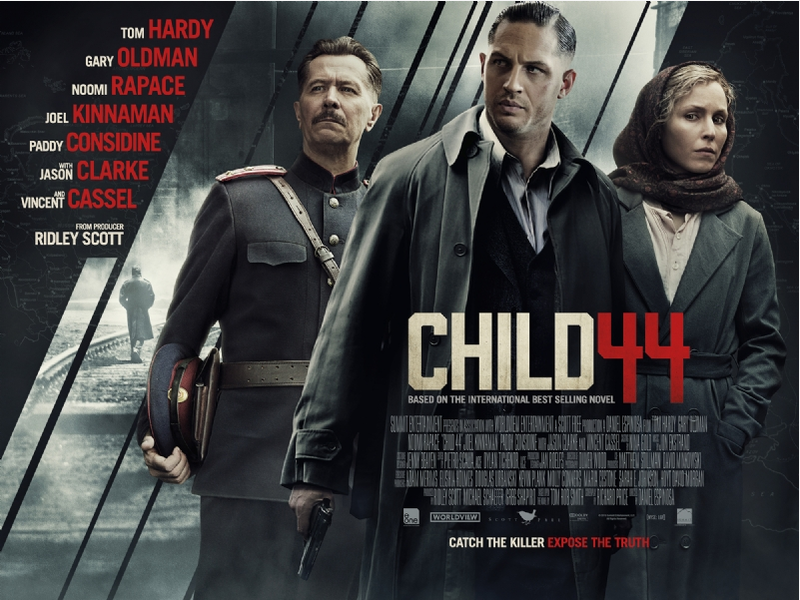 The same could be said for Hank’s fractious relationship with his daughter (Emma Tremblay – The Giver). The pair worked well together and it would have been nice to see more of that but it’s all resolved so easily with a trip to Grampas. Billy Bob Thornton was, to be expected, very good as the snake toothed Dwight Dickham (I don’t think there was supposed to be an intentional pun in the surname). However, Thornton’s role was limited to mere grimaces and the odd jibe which was a shame considering the actor and potential that the rivalry could have delivered. Especially after his turn in Fargo, this role was ripe for making a worthy adversary to RDJ but the film very much focuses on the father/son dynamic. A shame because by the end you realised that anyone could have played the role. Vincent D’Onofrio (Law and Order: Criminal Intent) was quite good as the older brother, Glen. However I wish more was made out of Hank and Glen’s rocky relationship. A revelation that is revealed later on could have been a perfect opportunity for a lot more confrontation but was (again!) resolved so easily with Glen taking the higher ground. Jeremy Strong (Zero Dark Thirty) was brilliant as Dale. A brother with special needs and a passion for 8mm film-making. It worked well and added something to the brothers dynamic. It also allowed for some entertaining but also endearing moments. Entertaining in the fact that Dale has no filter and tells the truth when he really shouldn’t. A subplot involving Leighton Meester (Gossip Girl) went no where. And to be honest was completely unnecessary. It had the potential to be made into something much more but was merely a running joke. A joke that wasn’t that funny and didn’t fit in with the tone of the film. The courtroom scenes were well done but didn’t quite hit the heights that you wanted. When Duvall’s character is finally cross examined, there is a lot more tension and drama to be had. Dax Sheppard (Without A Paddle) did a convincing turn as the useless aid, throwing up before every court session to fight the nerves. That was the issue for me. It tried to be light and comical in one instant, then dark and dramatic in another and it didn’t really excel as well as you would hope at either. 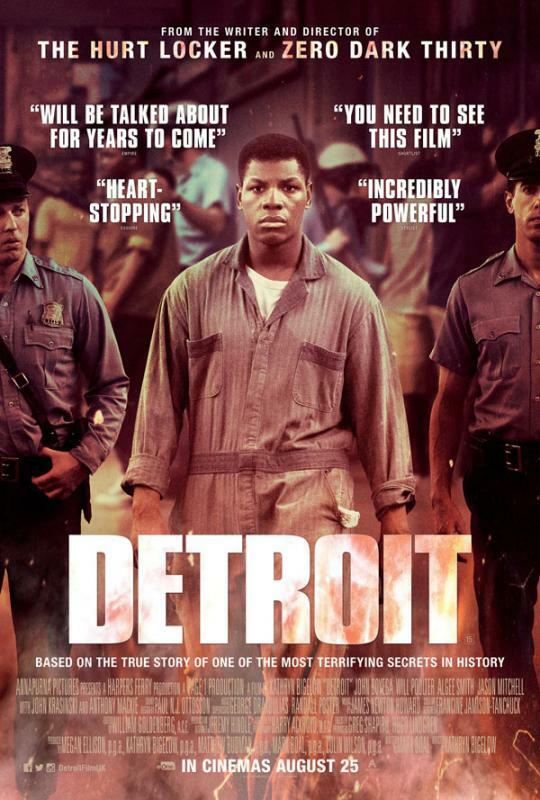 It’s well acted, watchable and certainly hits home by the closing moments. JUST . . .
Don’t JUDGE (what?) it by it’s overlong running time, there is still plenty to be had in watching two fantastic actors do what they do best. I just wish they had a better story line and script to work with. BUT still worth a look.